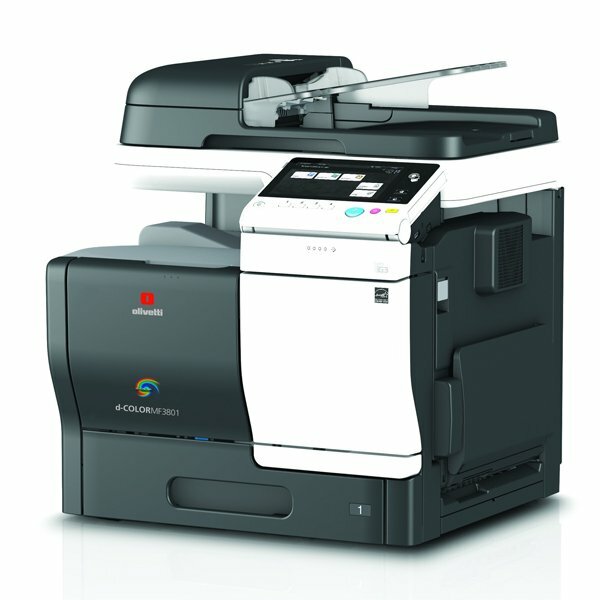 The A4 colour multifunctional systems, d-Color MF3301 and d-Color MF3801, provide print and copy speeds of up to 33 and 38 pages per minute, respectively. They combine top-of-the-range quality and reliability with full connectivity. These systems represent the ideal solution for offices requiring sophisticated tools but where office space is limited. A new-generation controller, polymerised toner and new application platform have been designed to simplify office workflows and deliver high quality prints. An array of new security functions provide superior data protection levels reducing the risk of confidential information loss. Cost savings and environmental protection are strengthened by one of the lowest power consumption levels in the sector, coupled with the use of recycled materials and bio-plastics.